Montevideo: Mexico and Uruguay on Wednesday announced they would convene an international conference for countries and bodies with a “neutral position” to discuss the political crisis in Venezuela. 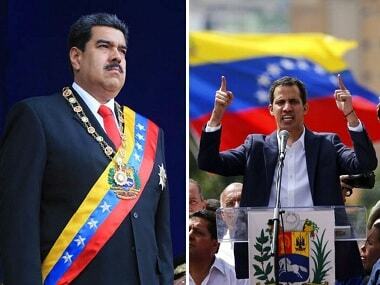 The two countries have not recognized Juan Guaido, head of the National Assembly legislature who has declared himself acting president in place of leader Nicolas Maduro. The conference, announced on the website of the Uruguayan presidency, is due to take place in Montevideo on 7 February. The statement said the two governments were responding “to a call from the secretary-general of the United Nations Antonio Guterres to initiate dialogue”. The announcement comes after opposition in Venezuela rejected any solution to the crisis that leaves Maduro in power. The two countries expect around 10 states and bodies to attend the conference but gave no details on which those might be. The statement said they were “ready to work with those members of the international community… who want to employ diplomacy” to find a way out of the Venezuela crisis. Maduro has said he is ready to negotiate with the opposition but Guaido said any such dialogue would be a sham.